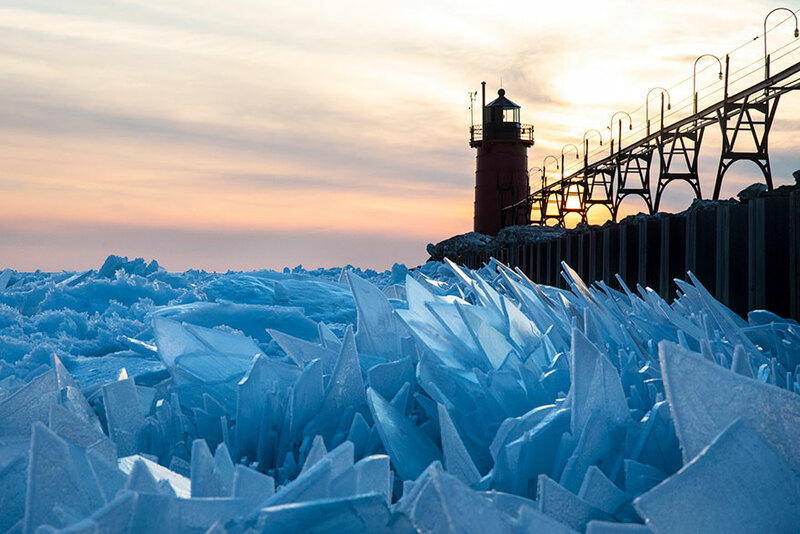 The polar vortex has kept Lake Michigan frozen for the most part of winter. 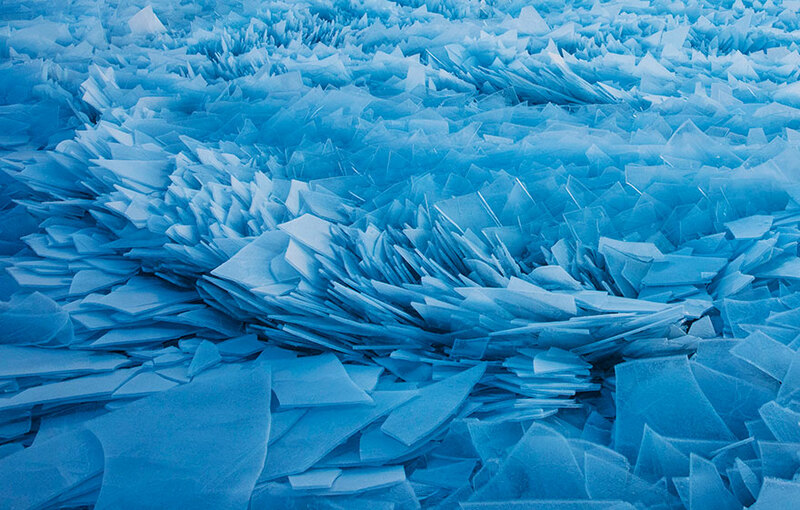 For example, in Chicago, Illinois, temperatures reached -30C (-23F) during the peak of the cold, causing ice shelves to form on the lake – hills formed from waves crashing over existing ice piles. But everything eventually comes to an end. Spring is bringing warmer weather to the area, destroying the ice and transforming the region into a magical wonderland. 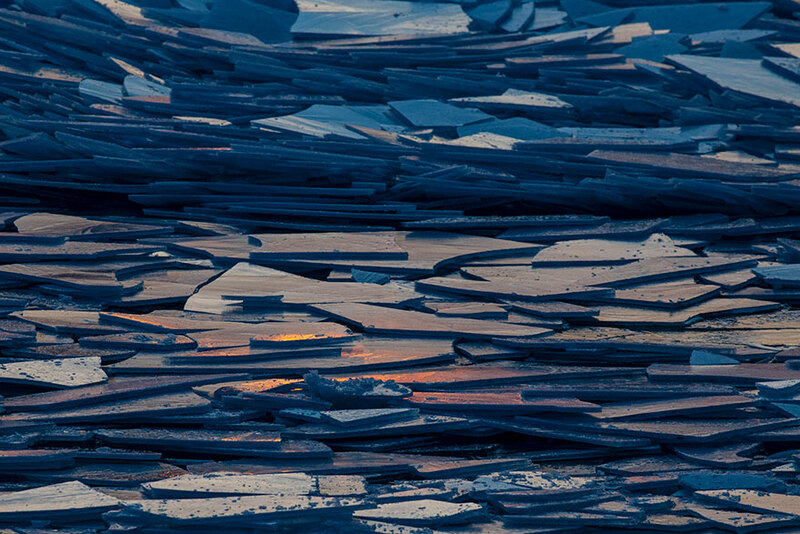 Moving water underneath the ice is pushing the sheets to the surface, shattering them into mesmerizing patterns, visible along South Haven’s pier.